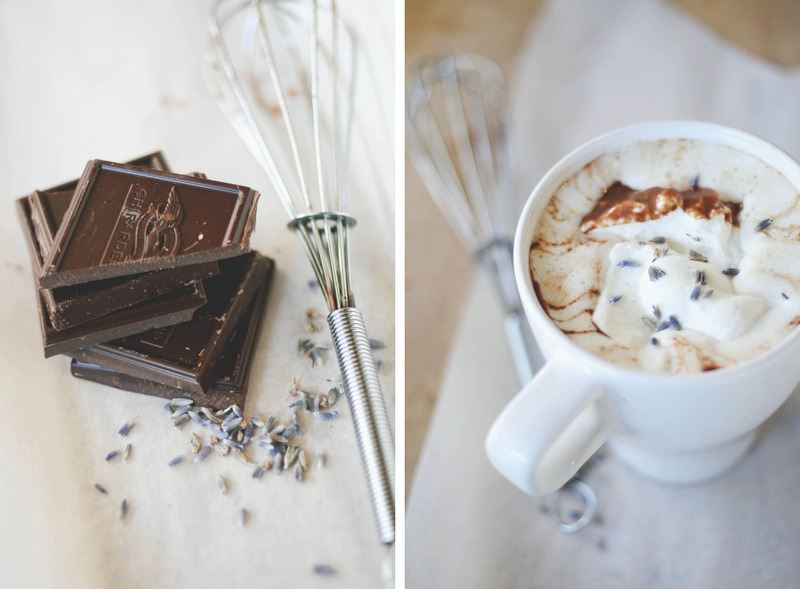 There's something that must be done when you find yourself craving hot chocolate on a daily basis. The only answer is to make yourself some hot chocolate, immediately. 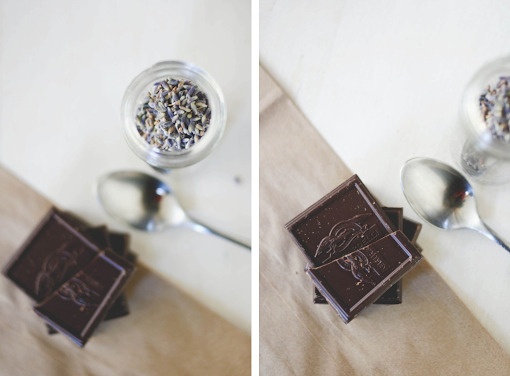 When you have milk in your refrigerator and chocolate in your pantry, there really is no excuse not to do so. Thank gosh, finally, the weather has finally caught up with the season. It's been cold with grey skies and light drizzles - basically, my dream weather. You don't understand how long I've been waiting for it to be winter weather, or better put, how long my closet has been waiting! Coats, jackets, boots and gloves finally get their day to shine outside of my four walls. Yipee! 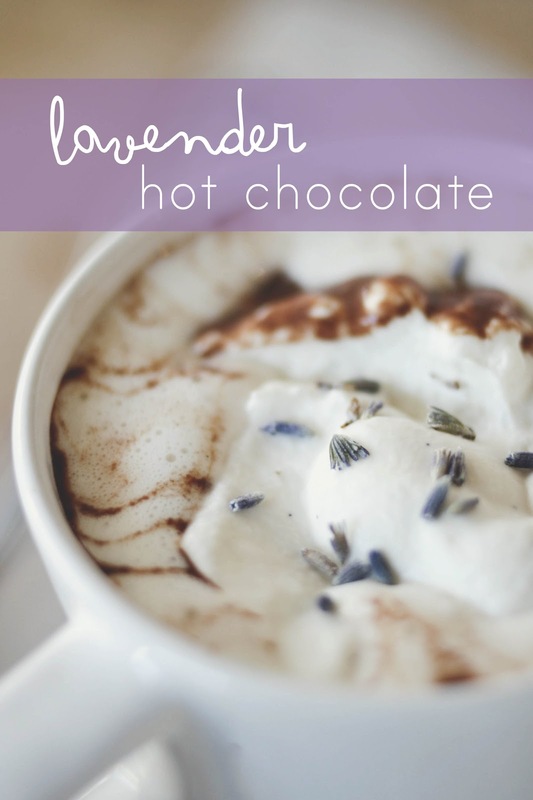 This lavender scented hot chocolate was yummy. Super rich, filled with great chocolate flavor and just a hint of flowery lavender. But if you don't fancy lavender - I wouldn't suggest it, as it's a love or hate kind of thing. 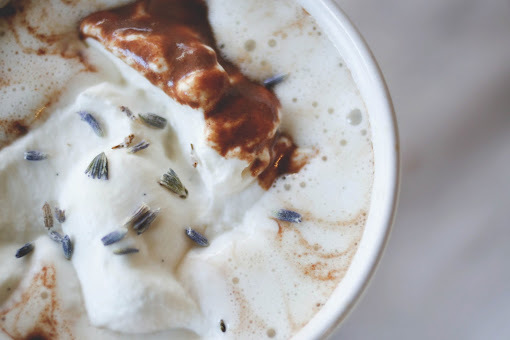 I wouldn't have this hot chocolate every day since it is really rich, but it is a nice indulgent treat for every once and a while. 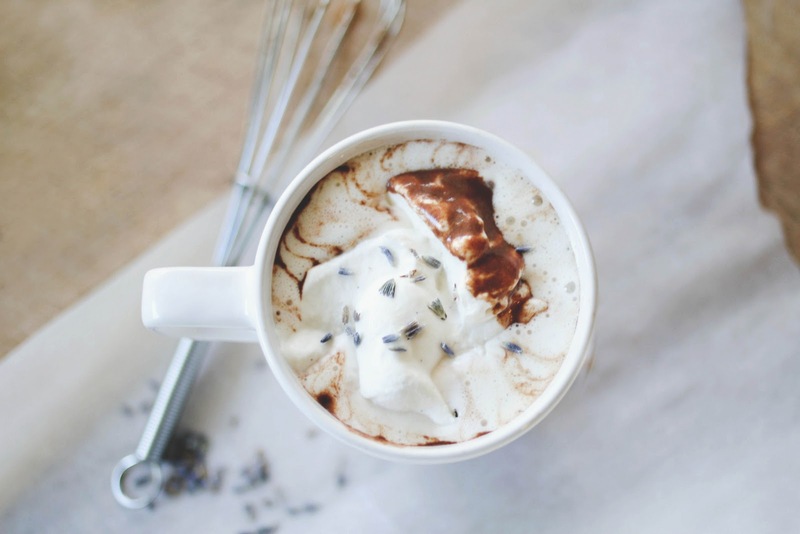 My favorite part is when the whipped cream mixes with the hot chocolate to make a frothy little concoction that is impossible to resist. Notes: since the lavender is fragrant, adjust the amount according to your preference. 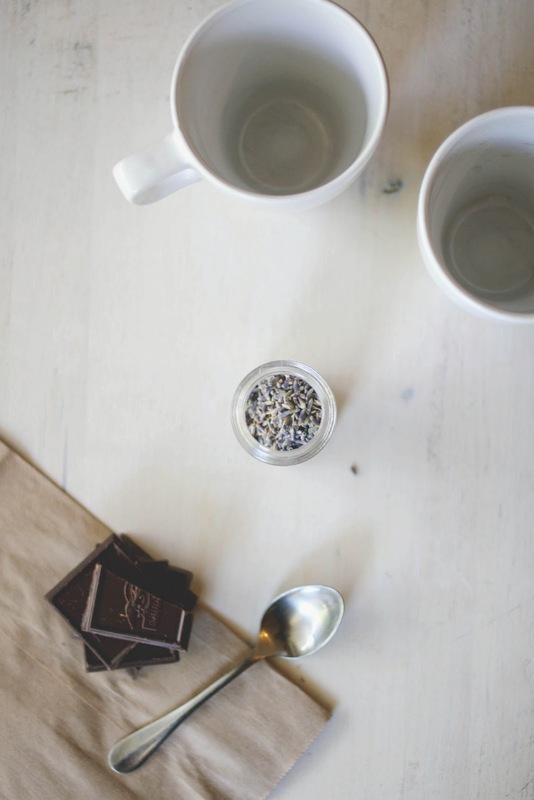 For a creamier hot chocolate, a 1:1 ratio or dark to milk chocolate can be used. For the whipped cream, place the cold cream, vanilla and sugar into a cold mixing bowl. Beat the mixture with a whisk or mixer until stiff peaks form. Keep refrigerated until ready for use. 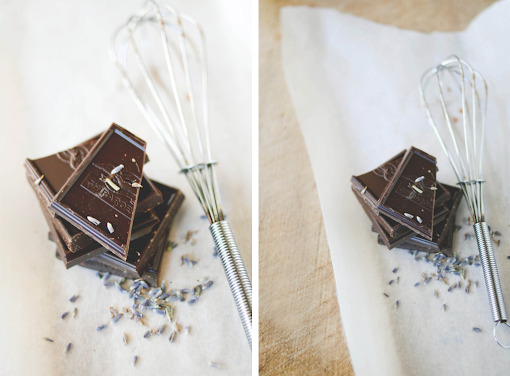 For the hot chocolate, beat the milk and lavender over medium heat, whisking occasionally until the milk begins to simmer. 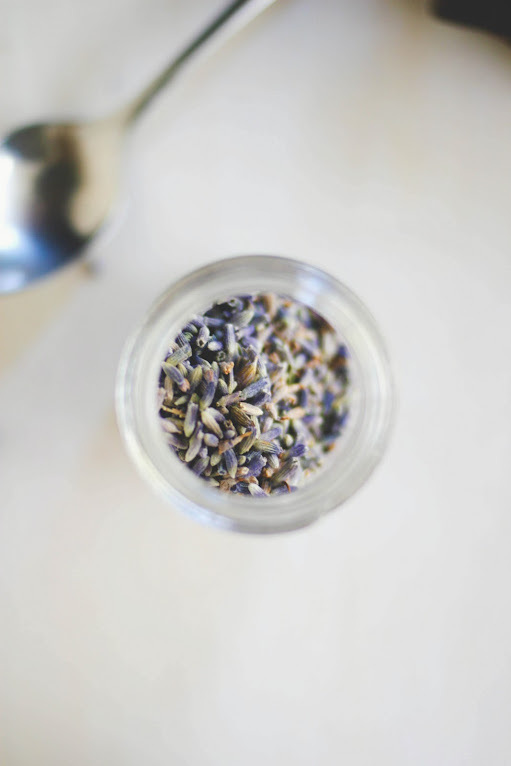 Remove from the heat and let the lavender steep for 5 minutes. Strain the lavender and return the milk to the saucepan. Over medium heat, add the chocolate and mix until the chocolate is melted and incorporated. Whisk the milk mixture for 10 - 20 seconds or until frothy. Pour into a large mug and serve with a dollop of whipped cream. I absolutely love this idea. Today was the first snowfall of the year. You can bet you'll know what I'll be drinking. My favorite thing in the world is homemade hot chocolate. There's nothing better in the cold of winter. The addition of lavender is inspired. Love it! Great idea Michelle , thanks!!! 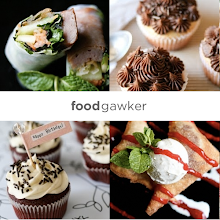 It sounds and looks utterly amazing..but, I can't eat lavender type foods.. I tried but I can't get the smell/image out of my mouth that I clean with lavender based sprays...still, if I could, I bet I'd love it. Gotta say I always get a headache from lavender, but it's so pretty I wish I liked it. Looks delicious! I might just forgo the lavender garnish myself, however. Reminds me of when I made hot buttered rum and there were whole cloves in the butter. I bit down on one of those and it nearly ruined the whole thing! Not that lavender buds are nearly as strongly flavored- but now I'm a little shy with my partially edible garnishes and aromatics! Tell me about chocolate fixes. I need them so often. Looks divine. Yum~ definitely trying this tonight. (Upping the lavender though... for some reason I kind of love the perfume-y taste). What a combination! I've never tried it but it sounds interesting enough... and we have always fresh lavender in the garden! What a flavour for hot chocolate. I love this! 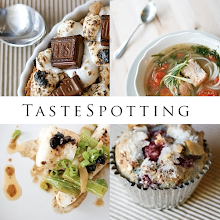 ok, now that just looks decadent and delicious! Your photographs are amazing too, look straight out of a home and garden magazine! Interesting to know about that. seriously amazing !!! I have to do this one of these days ! Look`s really great. I`ll try it on this saturday.